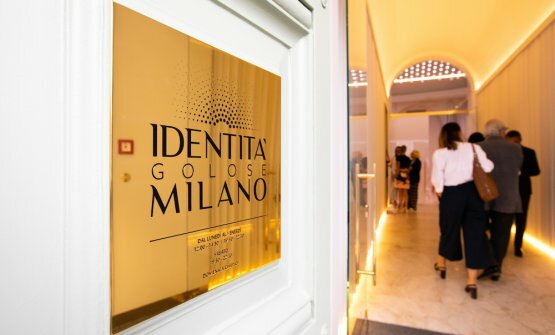 Old-school reporters would say the crowds were those of the big occasions, arriving for the opening of Identità Golose Milano, the most ambitious project in the 15-year-long activity of Identità Golose. 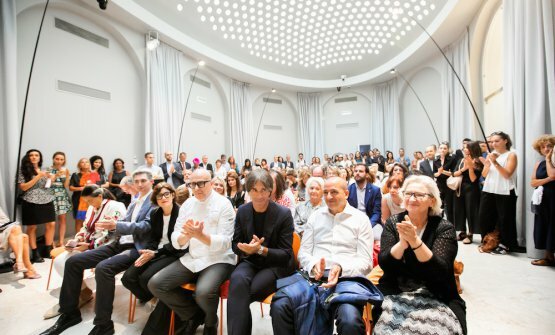 Around a hundred people, what with guests and journalists, numbers that increased during the two open days, designed so as to make the new Hub in Via Romagnosi 3 accessible to as many people as possible. Claudio Ceroni, president at MagentaBureau, virtually cut the ribbon: «For us, it’s a beautiful moment, arriving at the end of 7 months of uninterrupted work. With architect Egidio Tordera we started to work over Christmas. We finalised the last things last night». 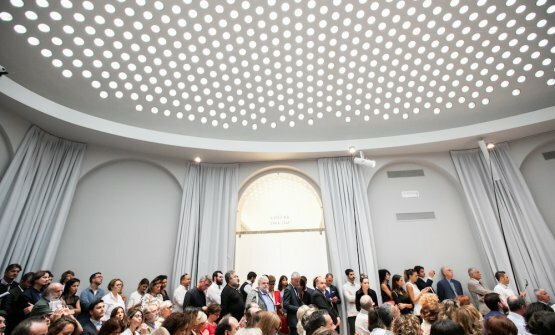 Lots of work to give life to «A project that is both very simple and complex, the ideal extension of the Expo experience. Without the World Fair, not only there would be no Hub opening today, but the entire city would not be the way we see it now. 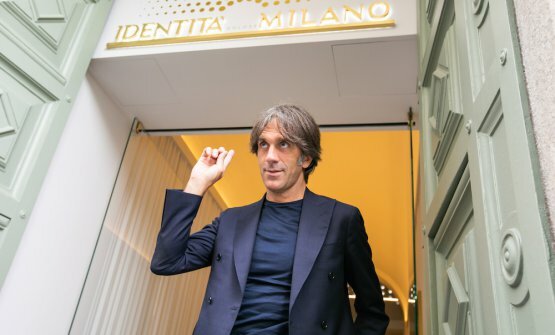 Milan preserves and invents at the same time, and today as much as ever». 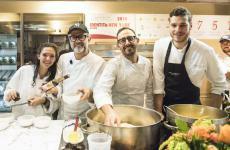 The Hub’s heart will include the heart of Identità Expo: «During those 6 months some 56,000 people sat at our tables, many of whom had never dined in a starred restaurant. We want this to happen in town too. 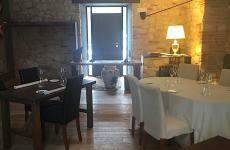 This is why we offer an accessible menu, for 75 euros including wine. 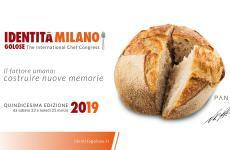 A reasonable price so that as many people as possible can approach great Italian and international chefs». 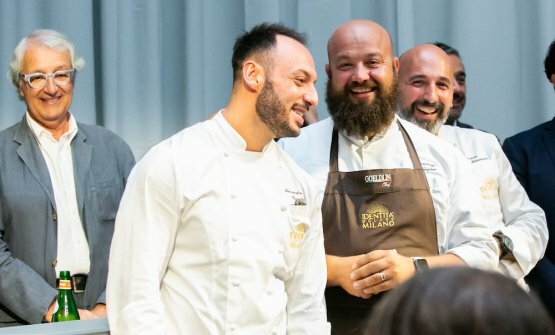 Time to thank the first people: «Salvatore Iandolino and Andrea Ribaldone, who will take care of the entire restaurant offer». 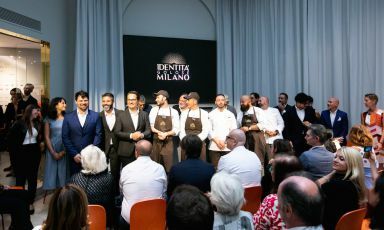 The chefs and restaurateurs among the public: Andrea Aprea, Cristina Bowerman, Paolo Brunelli, Pino Cuttaia and Le soste di Ulisse, Davide Oldani, Matias Perdomo, Alberto Santini, Alessandro Pipero, with the new chef Ciro Scamardella. «We’re taking the place of Fondazione Feltrinelli», said Ceroni, «an entity that left a strong mark in Milan’s post-War cultural scene. 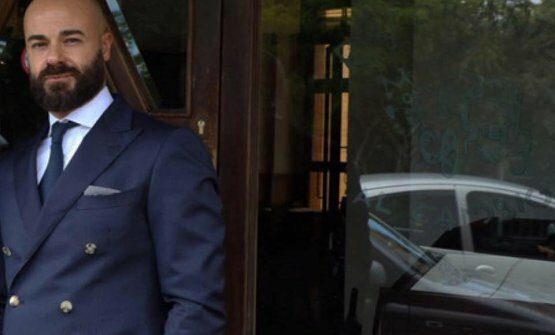 The investment was around 2 million euros, with the involvement of over 40 companies. 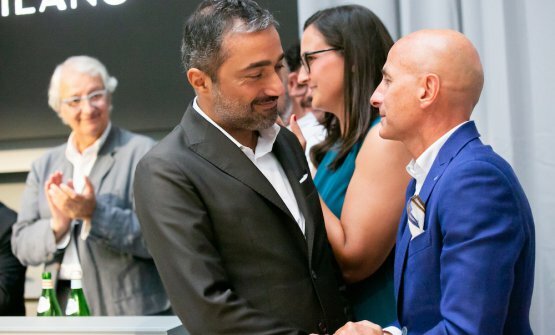 Capellini, Davide Groppi, Berto’s, Valcucine, Caraiba, M-Cube, CVM, Samsung, Antonella Bondi believed from us right from the start, blindly, and for this I thank them. 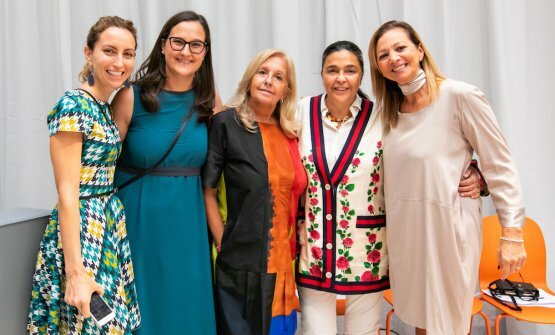 Thanks also to Paola Jovinelli and Luisa Marchi, two people who had a very significant role in the project’s development». 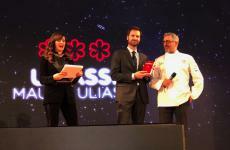 Before passing the microphone to his partner Paolo Marchi, the opening video by Beppe Sala was launched: «I can’t wait to visit you. 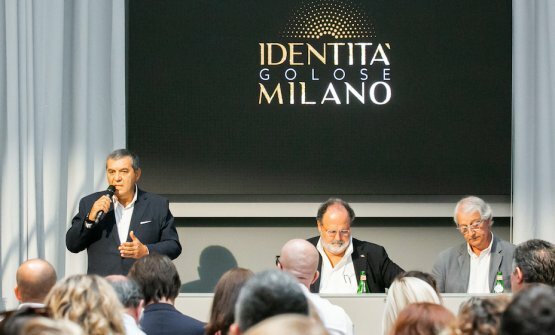 I’ll be a frequent client», said the mayor of Milan at the end of his message. 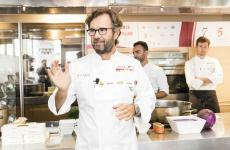 «This will not be Expo», said Marchi, «because those events happen once in a lifetime, but the spirit is the same. 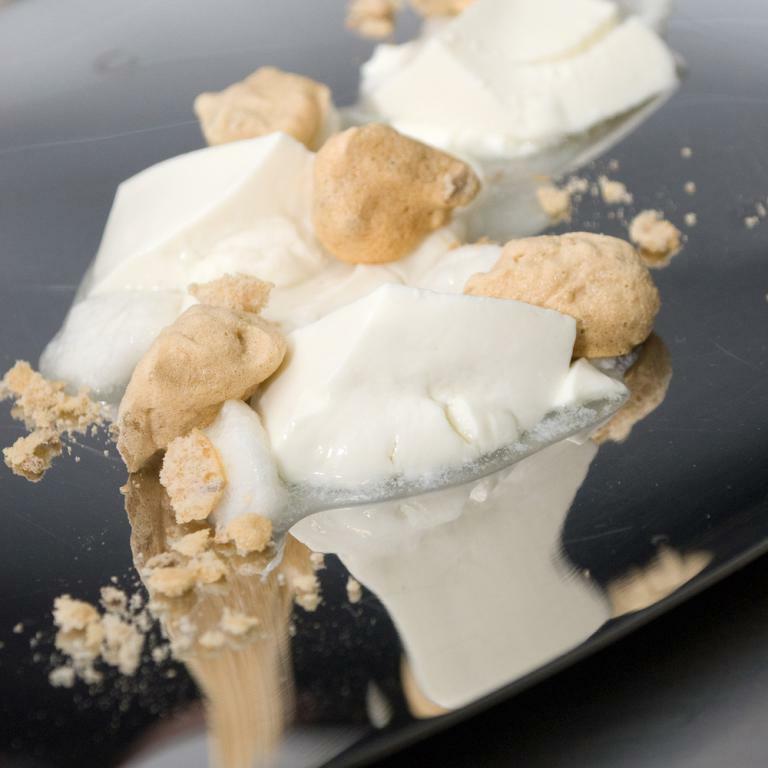 We want to show to those who will dine here, that chefs are not super-humans; they’re normal people who cook sublime food». 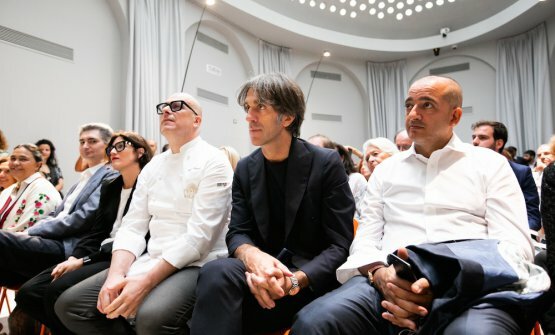 Milan is the only place where this project could take shape: «It’s also the city that wants to host the Olympic Games. Let’s resist». 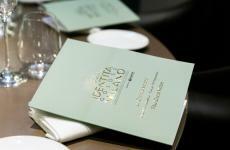 Then he presented the dinner events scheduled until December 31st. 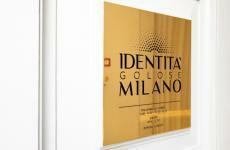 You can book already, from www.identitagolosemilano.com. 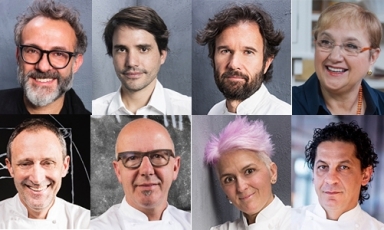 For now, here are the names of those who will cook until the end of the year, from Wednesday to Saturday, or on special nights: Andrea Aprea, Christoph Bob, Massimo Bottura with Alain Ducasse, the Berezutskiy brothers, Cristina Bowerman, Alfonso Caputo, the Cerea brothers, Rafael Charquero, Antonello Colonna, Carlo Cracco, Gennaro Esposito, Annie Feolde, Antony Genovese, Alfio Ghezzi, Peppe Guida, Alessandro Negrini e Fabio Pisani, Davide Oldani, Rodrigo Oliveira, Matias Perdomo, Pipero e Scamardella, Philippe Leveille, Niko Romito, Paco Roncero, Ana Ros, Marco Sacco, Mauro Uliassi. With Andrea Ribaldone always directing from Monday to Sunday. 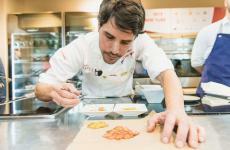 Lunch and dinner is only part of the project because the real focus will be on what happens before the dish. 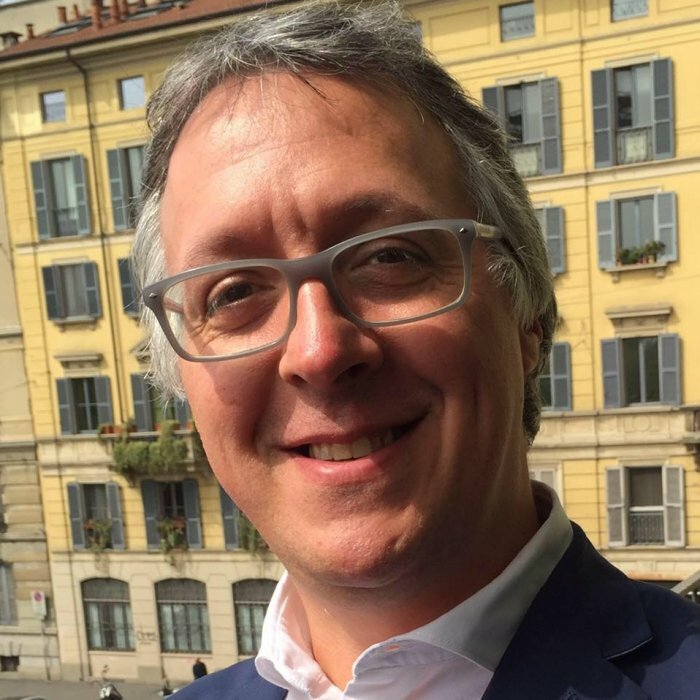 In one word, “culture”: «Culture», explained Davide Rampello, who among a thousand things teaches Arts and Crafts at the Politecnico, «comes from the Latin word colere, which means ‘to cultivate’. People lived if they cultivated. The word has therefore an essentially agricultural origin. The divine breath of earth, according to Pliny. 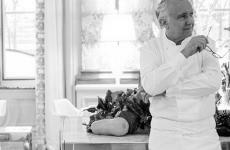 Not just gastronomy, therefore, but all that surrounds it. That is to say a huge heritage, that of artisans. We’ll tell their stories, their joys and suffering. They must become the real focus of this world, so that people can try to emulate them. 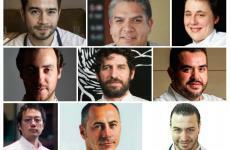 We’ve seen fashion designers, star-architects and then chefs become famous. 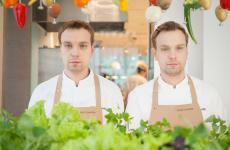 Today it’s time for food artisans». Some important appearances followed. 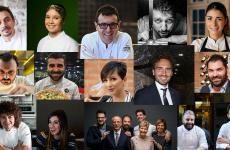 Almir Ambeskovic, regional manager at The Fork: «We support Identità because we’re similar: it always applies the global to the local. We’ll makes sure the Hub’s restaurant can only be booked online. It will be our task to guarantee it’s always fully booked». It’s important to point out it will be open seven days a week, for lunch and dinner. 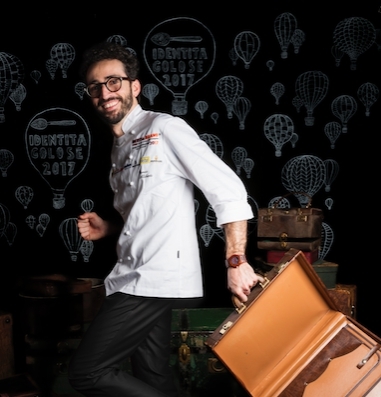 Moreno Cedroni, chef at Madonnina del Pescatore in Senigallia (Ancona), the protagonist of 3 nights people won’t want to miss, on September 26th-29th: «I will give all my support to leave a nice mark on the project». Then gave details on dishes to be yearned for. 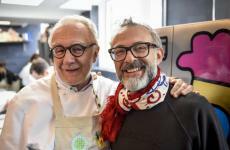 Franco Pepe of Pepe in Grani in Caiazzo (Caserta), the author of super-pizzas (see in detail): «I’m thrilled to take part in the project. I’m here because I’ve always tried to interact with fine dining. I’ll be here with my pizza, in a smaller size, a humble, popular product». For those who know the Pepe dictionary, there will be memento, scarpetta and margherita sbagliata, three superb brands from Caiazzo. 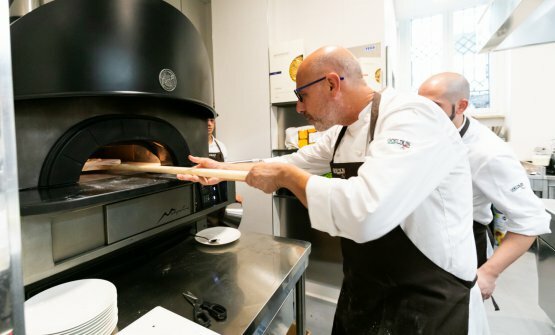 «And we’re studying a Milanese pizza», he reveals. 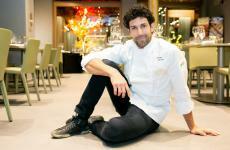 Andrea Ribaldone, directing the entire restaurant offer: «On top of the food, I’m interested in training these guys. Make them grow nicely. I’m also interested in an easy and tasty lunch offer, offering ideas that are both nourishing and healthy». 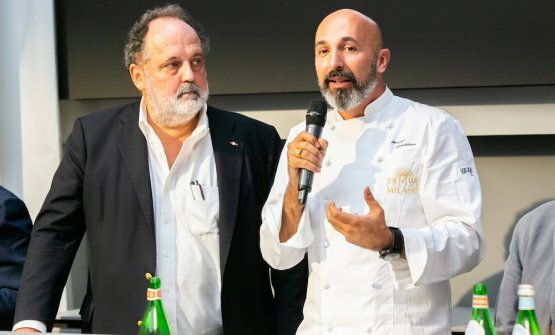 Enzo Malanca of Alma in Colorno (Parma): «We have a special goal: to create professionals who can spread the great Italian cuisine in Italy and abroad, following Gualtiero Marchesi’s lesson. 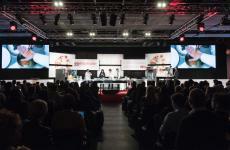 Milan is the first and only showcase in Europe». 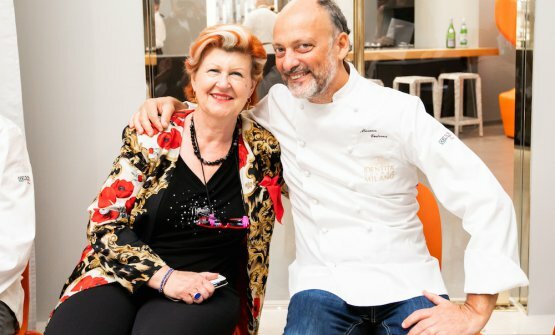 Annie Feolde, Enoteca Pinchiorri in Florence: «I’m French and I would like to tell my fellow countrymen: you’re not the only one who can make marvellous food, even in Italy and in other countries you can have splendid food. We’ll prove this with the Hub». 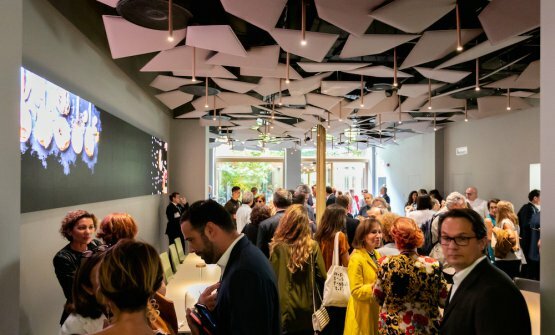 Cinzia Benzi of Magenta Bureau, the director of the partnerships and the connected projects: «I speak for an energetic and closely-knit team, that tried to transform a project on paper into a real place. We did everything with enthusiasm, infecting our partners whom I’d like to thank one by one. 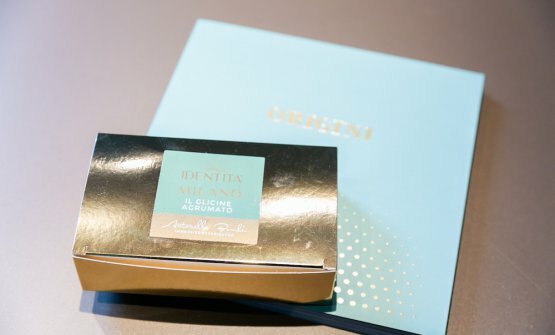 San Pellegrino, our water; Felicetti, the official pasta; Petra flour from Molino Quaglia, which we’ll use for a special bread, Lavazza and the coffee selection, Valrhonachocolate. 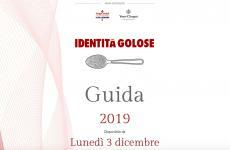 Thanks to those who will enrich the wine and spirits offer: Guido Berlucchi, Moët Hennessy, Vodka Belvedere, Valpolicella and Tuscany with Allegrini, and Winetip, who selects and distributes over 3,000 wines. Our list will include 99 items which will change every 4 months. I’d also like to thank Longino & Cardenal, Macelleria Oberto, Riso Buono. We’re very happy, they’re a great support for the future». After the other pillars in the Magenta Bureau staff – the new CEO Claudio Scavizzi, content coordinator Giulia Corradetti, general managerAndrea Amato,Daria Abbondi, budget and contract, Michelia Balio, promotion and sales, - here comes the dining room and kitchen brigade: there’s a passing of the baton between Domingo Schingaro (previously at Identità Expo, now at Due Camini di Borgo Egnazia) and Alessandro Rinaldi, resident chef in Via Romagnosi. 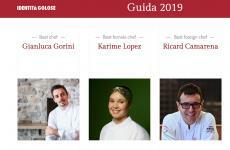 Then there’s Arianna Pastore, the two maîtres and sommeliers Andrea Polini and Alfonso Bonvini, “pizza & pastry chef” Gabriele Tangari, Cocktail bar coordinator Luigi Barberis, barman Rei Merollari, Marialuisa Iannuzzi who will be in charge of hospitality… The countdown is over, said Ribaldone, time to "push".